Hi friends! 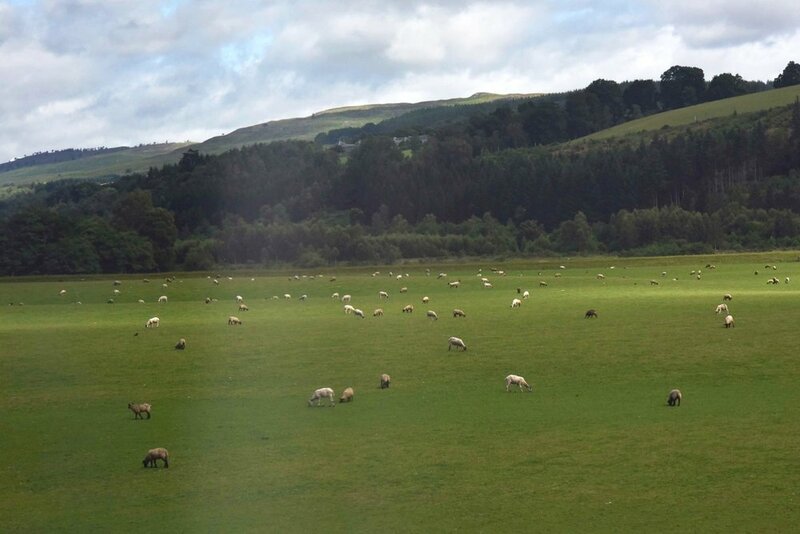 Here are some photos that I shot while on train (ScotRail) from Edinburgh to Inverness in Scotland. However, I have to confess that no photos can do justice to the beauty of Scotland - from seas and rivers to the Scottish highlands, each view is breathtakingly lovely. The highlands dotted with castles, cattle, picket fences and wild flowers are mind blowing! If you haven't already been there, I highly recommend Scotland as your next holiday destination. People are friendly, the vibration is lovely and there is beauty all around - even though the Scottish accent is hard to get at first!